Consider This Classic: Renae Recommends! After writing a post about my classics conundrum, I realized a lot of people are interested in reading classics but have no idea where to begin. So, I decided to start Consider This Classic - a monthly feature where bloggers highlight and recommend their favorite classic. They'll tell you when they first read it, why they love it and where to go from there. If you'd like to participate in Consider This Classic, click here to sign up. To start us off, I asked Renae from Respiring Thoughts to share her favorite classic. Renae reads more books than almost anyone I know - and a wide variety, too! She's an incredibly discerning reader who writes thoughtful and articulate reviews, and I'm so excited that she's guest posting today! Gilbert Markham is deeply intrigued by Helen Graham, a beautiful and secretive young widow who has moved into nearby Wildfell Hall with her young son. He is quick to offer Helen his friendship, but when her reclusive behavior becomes the subject of local gossip and speculation, Gilbert begins to wonder whether his trust in her has been misplaced. It is only when she allows Gilbert to read her diary that the truth is revealed and the shocking details of her disastrous marriage she has left behind emerge. Told with great immediacy, combined with wit and irony, The Tenant of Wildfell Hall is a powerful depiction of a woman's struggle for domestic independence and creative freedom. I believe it was a monthly pick for a Goodreads group I stalked back at the beginning of 2012. Before that, I hadn't really paid much attention to Anne Brontë, the least widely recognized of the three Brontë sisters. I started reading this without much knowledge about the book or the author, so I walked in nearly blind, not knowing what to expect. I honestly cannot express how much this book means to me. I love the way Brontë approaches life realistically and honestly. The Tenant of Wildfell Hall is ahead of its time in many ways. It discusses drug abuse/addiction, unhealthy marriage, the role of women in the world. The story of Helen Graham, a young woman who takes her own life in her hands and does what she thinks best, is important to anyone, anywhere, especially when you consider the time-period in which it was written, the Victorian era, where women's lives where notoriously controlled by the men around them. I love the characters. Gilbert Markham, our narrator, is a young farmer who has a certain amount of innocence. He's flawed and makes mistakes, which is so important. Helen Graham is strong, intelligent, and independent. The way their lives intertwine is told with skill and finesse. This is the book I recommend to everyone who wants to know where to start with Classics. I recommend it because it's realistic and down-to-earth, written in a way that's easy to follow along with, and promotes a lot of the values modern readers embrace (females not being their husbands' property, for example). Persuasion by Jane Austen - While Charlotte and Emily Brontë write Gothic romances that are dreary and full of ghosts and misty moors, The Tenant of Wildfell Hall deals with life a bit more rationally, similarly to Jane Austen. Persasuasion's style of romance is the Austen novel most similar to The Tenant of Wildfell Hall, I think. And, of course, it's just a really good novel on its own merit. Middlemarch by George Eliot - This one's pretty dense, but Eliot comments on Victorian society and culture in the same way that The Tenant of Wildfell Hall does. Bitter End by Jennifer Brown - This is a contemporary YA novel that deals with an abusive relationship, and how the main character chooses to leave that person. I think it's similar to The Tenant of Wildfell Hall in that it looks at how not every fairytale romance turns out for the best, and that a woman has the power to remove herself from that situation. I ADORE this discussion post idea and how you are including other bloggers in it! I've been wanting to do some sort of Classic Recommendation section on my blog but haven't figured out a way to approach it yet. This is perfect. :) I think I'll sit back and just enjoy this feature on your blog for a while now. Great idea. I now am on Amazon looking to buy a copy of "The Tenant of Wildfell Hall." I guess I'll never actually get to what I already own. Whoops. Thanks so much, Bria! I am SO glad you like it :) I'd been trying to think of a way to incorporate more classics into my blog, and I was so excited when I thought of this idea! Hope you continue to enjoy future recommendations! Also, I've owned a copy of this book for YEARS and never read it. This is definitely causing me to move it to the top of my TBR! Thanks very, very much for letting me be a part of this, and for giving me a platform to gush about this book (not that I needed one, since I mention my love for this book at least once a month on the blog and once a week on Twitter, haha). THANK YOU! Are you kidding? I'm so glad you wanted to participate, and I have so loved that you're helping me introduce others to classics they ought to read :) Thanks for reminding me of the fact that I've owned this book for years and never got around to reading it. Clearly I need to change that! Consider This Classic is a great feature for someone like me who's fixated on certain types of books. I go through such phases, I think. I have read some classics and I own some by Thomas Hardy and Jane Austen so this motivation to read them is just what I need. Moreover,I loved Charlotte Brontë's Jane Eyre and I've always wanted to read books by the other two Brontë sisters. 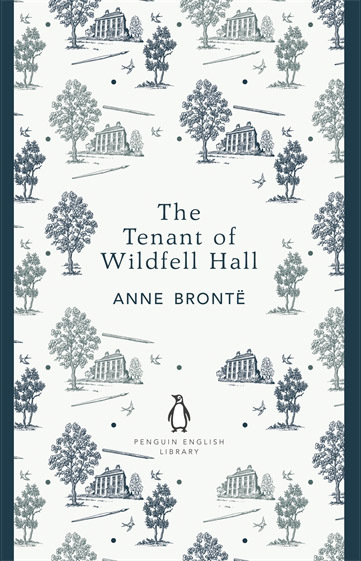 Thanks to Renae, The Tenant of Wildfell Hall sounds like a classic to get lost into! Hope you enjoy this one if you get a chance to read it! Ooh! I LOVE this idea for a feature! I went through a total literature snob phase in high school and read a ton of classics. Now that I'm so in love with the romance and YA genres, though, I've found that I don't read nearly enough classics anymore. I've been missing them a lot lately. I have no desire to go back to reading 95% classics and fancy, modern literature. But I would like to read one every once and a while, and this is just the feature to spur me on to do it! I've picked up The Tenant of Wildfell Hall before. Since I loved both Charlotte and Emily's work, it was logical to want to read Anne's. But I've never gotten around to it. Clearly, I should get on that! It sounds really good! I'm definitely pumped to see future editions of this feature! Haha! I love imagining you in your literature snob phase :) I used to read way more classics than I do now, but I've definitely wanted to balance my reading out by returning to some of first book loves. I'm with you! I don't want to exclusively or even primarily read classics, but I would love to be better about incorporating them more into my reading life. Hope you enjoy future editions of this feature AND I'd love to have you participate with a recommendation if you have one! I love love love this feature! There was a point in my life where I loved reading classics and when I saw that you were asking bloggers to participate, I really wanted to sign up. Except I'm not sure which one I'd recommend haha. Still thinking about that one :) In any case, this sounds like a great classic to read. I've read Charlotte and Emily's work (like most people) but never anything of Anne's. I will look this one up! Ahhh! Thanks so much, Rachel :) I'm so glad you're interested in participating. I would LOVE to have you join in whenever you think of what you'd like to recommend! I'd be excited to see what classic you'd pick. Like you, I've read Jane and Emily's work but nothing from Anne. I'm so glad Renae is helping add to my TBR, too! You already know I'm in love with this feature and excited to share my pick! Renae -- I will DEF be adding this to my library list!! I had never heard of it. Can't wait to see what other bloggers pick so I can expand my horizons and get back into the classics! I've shamefully never heard of this book but the first step is admitting it, right? (hides face) But I did actually just grab it for the Kindle and will probably buy the audiobook to go along with it because I'm VERY interested in the subject matter, particularly this: "...how not every fairytale romance turns out for the best, and that a woman has the power to remove herself from that situation." Seriously, when I read those words, I held my breath. I really need to read this one especially if you say it isn't a difficult read. Thanks for sharing. Haha! No shame in this game lady :) I bought this book years ago (when I read more classics than contemporary) but never got around to reading it. I need to download it on my Kindle + get the audiobook, too. Renae totally sold me with that line, too! Oh, I love the idea of this feature! I love reading classics and always want to read more, but to be honest those aspirations sometimes fall to the wayside as I get distracted by new and exciting books (and generally those that are easier to read, in terms of YA). But I like how specific this recommendation format is. I've known that Renae is a fan of The Tenant of Wildfell Hall, but I appreciated reading her praise laid out so explicitly. I would love to read this one eventually, and I look forward to seeing future recommendations through this feature! I love this idea! And I haven't heard of this book so yayyyy! 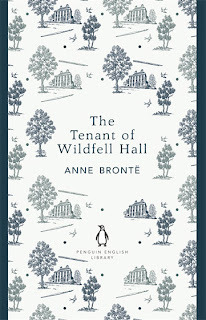 Anne Bronte is often overshadowed by her more famous sister, but The Tenant of Wildfell Hall is just as accomplished and, as you indicated, very important in terms of its portrayal of marriage and a female's role in that time period. I wonder if it's based on what she witnessed as a governess. I'm so glad you highlighted this fantastic (and accessible) classic! *I meant sisters - there's two of them you know! I love Renae & this post! It's convinced me to give The Tenant of Wildfell Hall a try. My friend texted me last night looking for a book recommendation and said she was in the mood for a Charlotte or Emily Bronte, Jane Austen type of book, so I recommended her this one. She just texted to say that she picked it up at our local used book store. I can't wait to see what she thinks of it! Oh I'm so glad this has you interested in this classic! AND that you already suggested the book to your friend :) I'm so excited for both of you, and I hope that you both love it! I am so in love with this feature! It's great that you're giving bloggers an avenue for recommending their favorite classics. I've never hear of Renae's recommendation, but it sounds fascinating. I'll definitely be checking that out, and keeping an eye on this feature to see what other recommendations crop up. Thanks Alexa! I'm so glad that people seem so excited by this feature. I so hoped that it would appeal to people who were interested in classics but needed some direction. If you have a recommendation of your own, I would love to have you participate! I DIDN'T REALIZE THAT YOU STARTED THIS MEME. It is GORGEOUS and such a fantastic idea! I was just telling Asheley today that of the Bronte sisters' books, I thought this would be the best fit for her (I'm determined to get her to read Bronte or Austen..and like it). Then she said she saw it on your site, so I had to look it up! Here I am! I agree, I was shocked by what was in this book - how modern and honest it seemed. This is one that I also knew nothing about before starting, and I was blown away by how amazing it is. I need to get back to classics, because they are always surprising me. Also, I know I need to write one of these! I'm just afraid I won't be able to say anything eloquent without re-reading. Thanks Lauren :) I'm so excited that you love this feature and that you think this would be a good fit for Asheley. It sounds like she was definitely intrigued by Renae's recommendation, and I know it helps that you'd already specifically mentioned it too :) WOOHOO! I haven't read this one either, so I need to try and plan to read it around the time A does so we can discuss. I've owned it for years - just haven't gotten around to it! I'm so glad you love classics, too, and can't wait to have your recommendation featured.